Japanese teens in black graphic tees and denim jeans while out and about in Harajuku. Japanese student in chic minimalist streetwear with cap sleeve blouse, flared pants, iconic platforms and a floral print clasp handbag. Harajuku teen trio’s resale outfits with layering styles, accessories and bags. 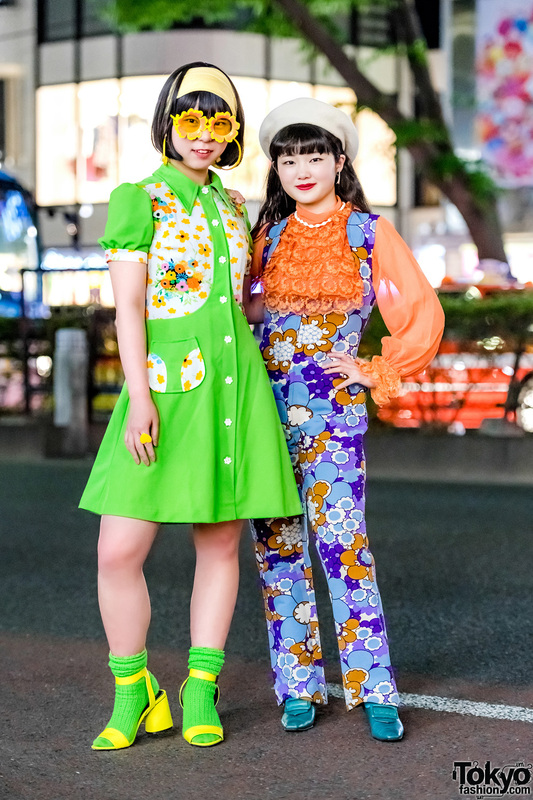 Japanese fashion college students sporting retro floral fashion while out and about on the street in Harajuku. Red-haired Harajuku girl wearing a yellow t-shirt, ribbed flared pants, and brown leather shoes. Harajuku teens showcasing remake menswear street styles while out and about on the street.